In response to my Burberry Body post, Franziska asked if I had posted an outfit with my Burberry trench. Sadly, not in a long time and this a fault of mine, not the coat’s, because I do wear it quite often. I think, since I’ve had it so long, I kind of take it for granted as a statement piece and think of it more as just a friendly favorite. But today, things are going to change and I’m going to do right by this loyal trooper, who has traveled far and wide with me, all the while suffering numerous indignities, like being shoved unceremoniously in the overhead bin, under the train seat, under the bus seat (I know, I’m horrible), the L.L. Bean backpack – the list goes on. Through all this, it has never once complained. I’ve noticed the same “friendly favorite” usability from the perfume, which I’ve been using quite a bit lately. Kind of a no-brainer now when I’m heading out the door. And while we’re talking Burberry, don’t forget there’s still time to enter the #BurberryBodyInspirations contest. More details here! That is indeed a lovely trench, even though you've put it through so much abuse! 😉 But it's all done with love, no? Such a nice staple piece to have nonetheless. I just love the back of it! Some people just look SO good in a trench. You are one of them! Love them bangles too! Love the hair and the trench coat! I am getting so excited for fall and to be able to start wearing jackets! That trench coat is an amazing piece. Good pieces are those full of memories, in my humble opinion. But this trench doesn't show any sign of 'abuse', does it? Really love your elegant look. Utilitarianism. And it's not just a coat, it's Burberry. you have a wonderful blog. love this post alot. 🙂 Follow each other? Oh E, this looks so great on you. I think a sign of a well made garment is putting it through the works and it coming out on the other end still looking as great (if not better!) than when you first got it. 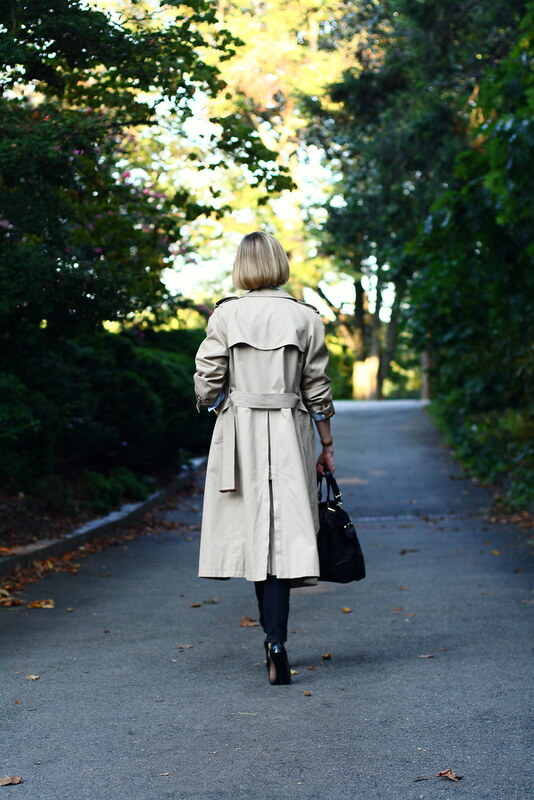 Such a classic look…love that trench on you! Really classic yet chic look. The trench look perfect on you. So chic! It looks like you have a solid collection of amazing basics that will NEVER go out of style!! That is a lovely trench! 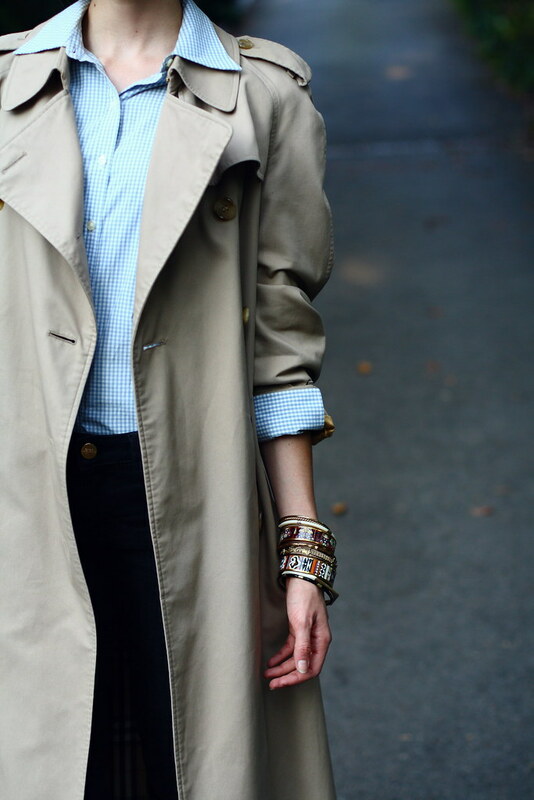 I've always wanted a classic burberry trench like that and seeing how you style it makes me want one even more! I finally bought one of the quilted coats last year- maybe this year it's time for a trench? the classic go-to piece! i wish i had one! it looks fab and is so versatile and timeless! it is indeed, a gorgeous coat. and you wear it so well. I love your coat!!! beautiful look! I've been looking for a trench for a few months now and have not found one… yet.